Smoke bomb AN-M47A4 is approximately 51.9 inches long and weighs approximately 105 pounds when filled with PWP and approximately 131 pounds when filled with WP. It is approximately 8.00 inches in diameter and has a rounded nose, a truncated conical tail section, and a fixed tail fin. The complete round consists of a bomb body, filler, a burster, a fuze, and an arming wire. Smoke bomb AN-M47A4 is essentially the same as incendiary bomb AN-M47A3 except for the filler, the burster, and the suspension lugs, which are of heavier construction in bomb AN-M47A4. 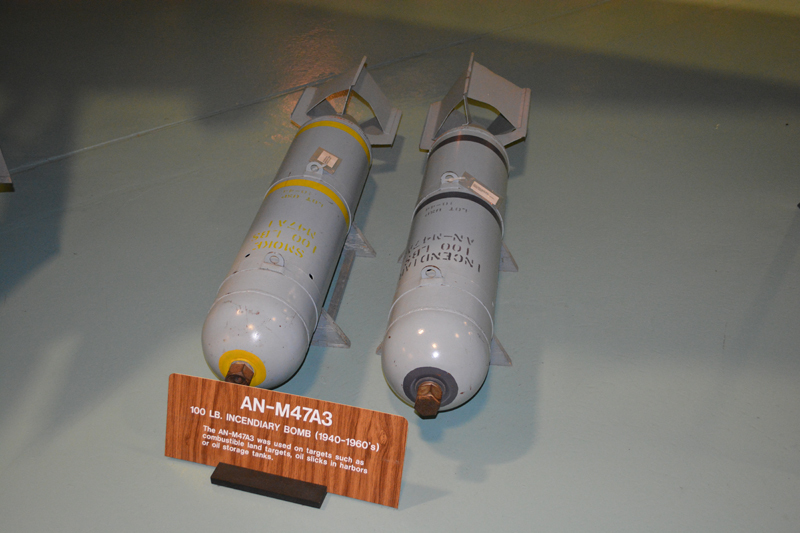 An earlier model of bomb AN-M47A4 was the AN-M47A3. The two bombs are identical except that the AN-M47A3 has more lightly-constructed suspension lugs and is authorized for filling with PWP only.